Studies have shown that children who eat supper (or any sit down meal) with their families, do better in life. It provides a time to connect and have in-depth conversations; a time to renew relationships, and bond; a time to enjoy food and fellowship. 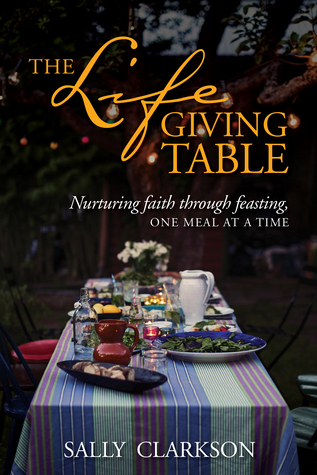 The author played on a previous title "The Life Giving Home" and shared her families recipes, traditions, and experiences that were shared around their family table. She pulls from scripture and personal experience to write about the joy of friendship, food, and ministry. The concepts in this book are great. The cover will entice the reader to pick the book up. The recipes aren't complicated or too time consuming. The author sprinkles quite a few of her personal stories of how mealtime nurtured their family. My only complaint was the tone of the book. If family mealtime isn't your thing yet, this book can be incredibly overwhelming and come across as too complicated, described by someone who has "arrived". The author is a bit more into the touchy feely parts of life than I am. My family would not be remotely interested in candles at meal times. I guess the best way to describe it would be that it felt too perfect. As in, no way to make it my reality. But if you can look past the more dated style of "setting the atmosphere", this book has recipes, suggestions, and thoughts that will be great for the family who wants to connect more and build their faith and ministry by utilizing the hospitality gift. Clara receives a strange an anonymous invitation to visit Bleakly Manor for the Christmas holidays. But she has no idea who lives there or why she's received the invitation. All she knows is that she's been promised financial compensation if she stays for the whole 12 days. Since her life has taken a very wrong turn in the last year, she is really tempted to accept, despite her aunt's bad health. Upon arriving she finds out that other guests have been invited too, including the man she thought ditched her at the alter. This was a very unique book. It has so many twists and turns. 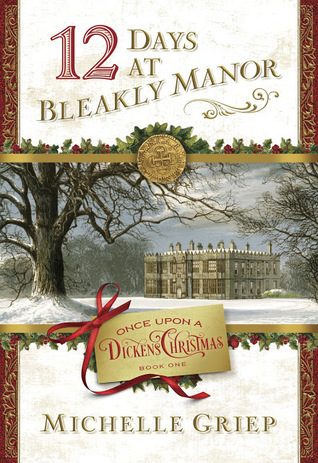 This is book one in a Dickens Christmas series set during the Victorian era. I loved the visuals that the author portrayed as well as some of the character development. The book focuses on the 12 days that the applicants spend in the manor, but also has some back story on the two main characters and how they ended up needing help. The pros - while I haven't read much Charles Dickens, I can say that I could see the nod to his work as well as Agatha Christie. I liked the uniqueness. Cons - The Christmas and Christian elements were very weak, the chemistry between the couple didn't show up for me, the accidents that kept happening didn't fit in with the plot and how it ended. Overall, I liked the story, but felt there were some weak elements. The book could have been longer so that it had more time to explain some of the plot lines that were vague or missing. So I will definitely pick up the next book in the series and withhold judgement until then. I think fans of mysteries and Charles Dickens will enjoy this short story. 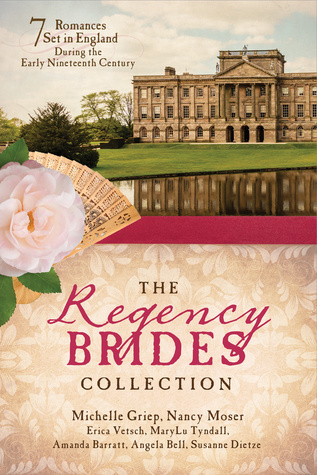 Seven authors come together to tell stories of romance and faith in England during the Regency period. Each young lady searches for a lasting love based on faith and friendship. Each author brings her distinct writing style to these faith based, romantic stories. 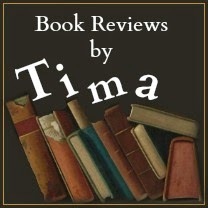 Each story brings humor, suspense, drama, love of family, faith or intrigue that makes this an enjoyable and fun book. I loved each of the stories, but one of them was my very favorite. A couple of them didn't have the distinct feel that regency romance typically has, but all of them were well written and had the feel of clean romantic relationships. I loved the romance of each of these stories. Whoever put these particular authors together did a great job, so that the reader enjoys a different type of story, but all the same genre. This book would be perfect for the busy person who has little time to read so needs a short story. It would also make an excellent gift for Christmas. The three authors write books for young children. As they were working on various books, they realized the great need for a book for parents before their new little one comes home. 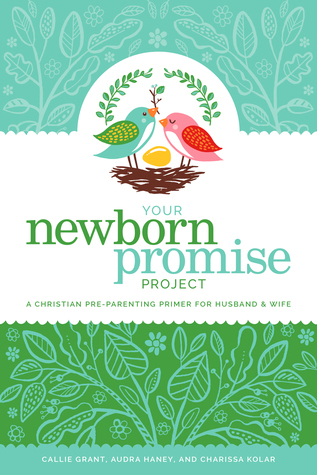 This book is written for new parents and acts as a primer for how to bring faith into the home and prepare the parents hearts for God. It acts as a gap stop between pre-marital counseling and when that bundle of joy arrives home from the hospital. Each chapter begins with a question, followed by an applicable scripture. Then follows the authors thoughts on how the scriptures answer the questions. Almost every chapter ends with a way that the parents can grow, learn, or make the lesson applicable. While I no longer have a newborn, I remember those early days of parenting and wish I'd had this book then. Each chapter is well thought out and clearly written. While parts of it were a bit dry, I muscled through and learned a lot. As I was reading, I wished that there were questions at the end so that it would be easy to study with another new parent or a spouse. I later found out that it comes with a study guide. Overall, I think that parents of faith should grab a copy before their little one appears. There is so much technology out there available for teens and yet they often don't have the knowledge or maturity to deal with the consequences that often result from unfortunate choices. The author has broken down the various social media sites and walks the reader through the pitfalls and nuances of using each site. The book is broken up into 21 chapters, or tips, with a series of questions at the end. There is also an introduction with a letter to parents. I was expecting a dry and more adult focused book. Thankfully I was wrong. 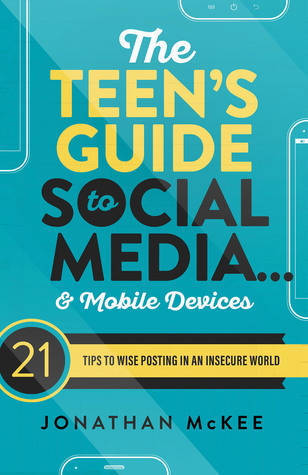 This book is actually written for teens and is perfect for the target audience. The letter to the parents is wonderful and after reading the into and the rest of the book, I had no worries about passing the book onto my teenager. My son actually wanted to read the book and sped through it. I couldn't believe that it kept his attention since he prefers fiction. The author did a great job of pointing out some of the dangers and addressing them without coming across as preachy. Loved this book and will be keeping it for my daughter when she gets older. I would definitely recommend this book for any parent with teens. I received a copy of this book from Barbour. All thoughts expressed are my own. New York is a wonderful place to live or visit. Follow the author/illustrator as he shows some of the facts about New York that make it so fascinating. 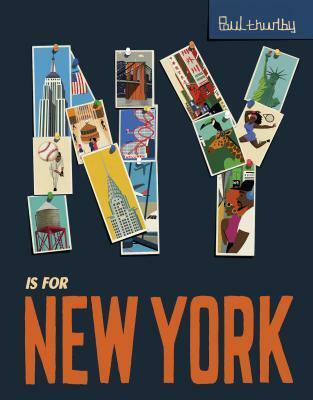 Each page is filled with interesting details about different aspects of NY and colorful illustrations. The Statue of Liberty, Central Park, Coney Island, and Times Square are just a few of the many items in this fun children's book. My daughter loved the huge, colorful illustrations. The book peaked her interest and gave her a desire to go see New York city. The author did a great job of creating facts that were interesting to children without too many details. This book would also make an excellent addition to classrooms. Young women today face a multitude of problems and experiences. From bullying, social media, friendships, and dating women today need the encouragement and knowledge that they are loved and adored by their Savior. The author takes this concept and created a beautiful book for young women. Each devotional is short and can be read quickly. It begins with a scripture and there is a small space for notes or prayers at the end. The cover art is carried throughout the book for a visually pleasing look. Each devotional is numbered, but not dated. So the book can be started at any point during the year. I wanted this for my daughter who is nearing her teen years. I think she will love it, because I did. It's small size would allow her to take it with her to school or on a trip. The cover is gorgeous. I think the author did a great job of addressing the issues that young women face today without coming across as preachy or boring. Each page is short, but meaningful. 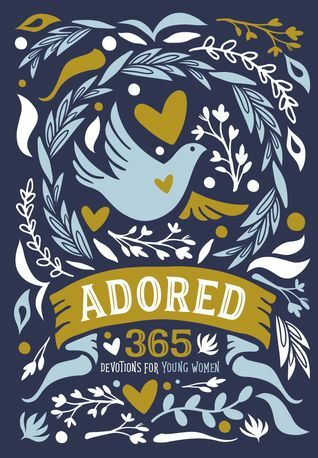 I can't wait to give this book to my daughter and think it would make an excellent gift for any young woman. I received a copy of this book from Handlebar Marketing. All thoughts expressed are my own. Combine a crazy busy schedule with sick family members and you have the recipe for missing a lot of fun things. A few things have changed since I last did First Line Friday. We've grown. So a little bit of the format has changed. But it's all for the better. So let me know what the first line of a book you are reading is and join in the fun. 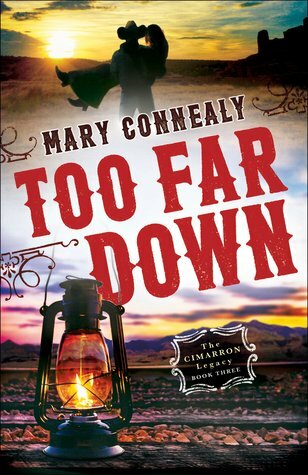 Too Far Down by Mary Connealy. "An explosion brought Cole Boden to his feet. His chair slammed backward into the wall." I'm going to dive into this book in a few minutes so stay tuned for a review later this week or next. And don't forget to let me know what you are reading. I love hearing about new books to add to my ever growing pile. 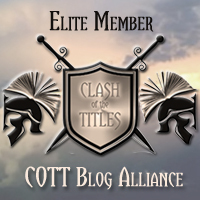 I currently have a give-away going on my blog. Head over here to check it out. I am an amateur photographer and am still learning so much about composition, exposure, and color. So I knew I had to read this book. The author begins with an introduction about himself, his photography journey, what he hopes the reader gains from the book, and what prompted him to write the book. 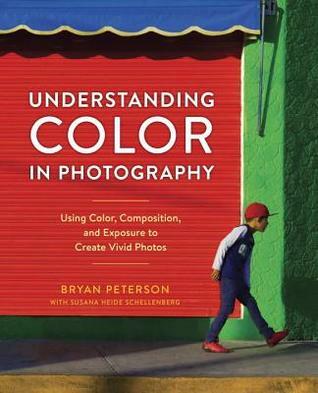 The book is then divided up into four sections - Light, Exposure, And Color; Color and Composition; Color and Mood; and Using Tools to Enhance Color. Each page is filled with beautiful photographs by the author that help to showcase what technique or point he is trying to get across. The text is woven throughout these pictures. As a newer photographer, I felt that the writing was technical, but not so complicated that I was lost. I learned a lot from each section and feel like it has made me a better photographer. This book would be great for any camera or photographer enthusiast who wants a glimpse into the world of an amazing photographer. Even if you consider yourself a pro, there is always something new to learn. I will definitely be hanging on to this book. 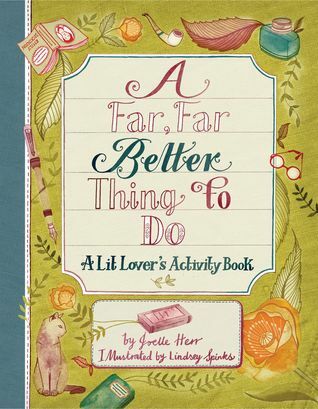 I posted a review yesterday of this fun, little activity book. Now I'm going to give away a book so you can have one of your own. Fill out the rafflecopter questions and I'll use a computer app to select the winner. This book is best described by the introduction. I can offer no better words of my own. "If you're reading this, chances are you're a card-carrying (library card, natch), TBR-stacking, unabashed book nerd. That you require both hands to count the number of times you've devoured your favorite classic novel. That you own more books than all of your other possessions combined. That you have a pet named after a literary character. That you imagined yourself as the mistress of Pemberley. That you know the book Pemberley is from without even having to think about it." Since every single part of that description describes me, I had to have this book. And I loved every page. I couldn't stop showing pages of it to my family. There are activities, coloring pages, quotes, and so much more. The book is well designed, beautifully illustrated, and so much fun. This was perfect for those times that I couldn't fit in much reading, but had a few seconds to spare and wanted something to do. It is small and soft bound so that it fits easily into my purse, but not so tiny that my old eyes have to strain to see the pages. This was fun for me, but I also think it would make an excellent gift for that book lover on your Christmas list. I received a copy of this book from Running Press. All thoughts expressed are my own. The Christmas season is almost upon us again and what a better way to get into the spirit of the holidays than with this fun and inspiring book. Each (right side) page is filled with detailed and delightful pages that highlight the different aspects of the season. Each left side page has a thoughtful devotional that focuses on the reason we celebrate Christmas. They all begin with a scripture and after the devotional thought, end with a short prayer. 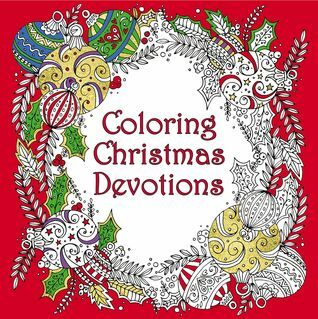 There are also several pages with Bible verses that can be colored as well. The pages are thick enough that ghosting or bleeding through isn't an issue. Each page is also perforated so they can be torn out and shared or hung up. The binding is soft and the book is small enough to fit into a purse or satchel. I'm a huge fan of Christmas and coloring books, so this was a win for me. The devotionals were very well done. The author did a great job of sharing personal stories and antidotes that fit well with the scripture and thought she was trying to portray. I enjoyed each one. The coloring pages were varied, but fit with the theme. They were intricate and clearly designed for adults, which I really enjoyed. This would make an excellent gift, but I'd recommend picking one up for yourself as well as it will fit in perfectly with the coming Advent season. The first story begins with a young woman who is trying to raise her little niece. When she's stranded in a small town due to lack of funds, she finds an advertisement for a wife and agrees to marry a stranger with children. After some difficulties, the two learn to manage their home together and have a possibility at love. 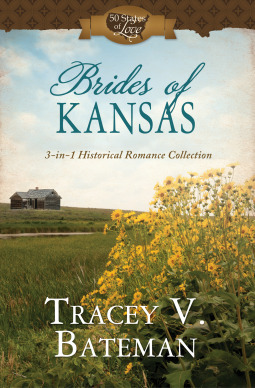 The second two stories take the younger generation and tell their story of love in Kansas. I'd read a couple of these stories previously, but enjoyed reading them again and together in one book. I think it's great that the publisher is reissuing these older books and putting them together in a collection. The book is part of a series by different authors. Each book is a Christian romance set in a different state. 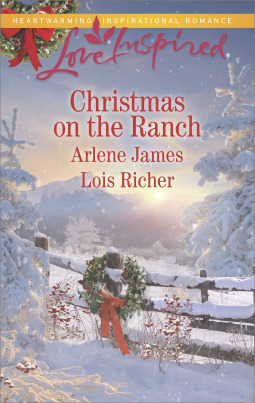 The author does a great job of weaving family, faith, and love into a light-hearted, romantic story.The characters were authentic and stood out despite the large number of family and town people added to the plot. There were a couple of times in several of the books that I wasn't crazy about (plot twists, characteristics of people, ways of handling a situation), but overall, I enjoyed the books and would read more by this author. Hugh, a minister, has finally located his missing son. He can't keep a nanny and so he does the next best thing. He advertises for a wife. But when Annie applies for the position, Hugh is reluctant to accept her offer. He's seen Annie in the past and he doesn't trust that she'll stay and be responsible. His son has some severe issues stemming from the trauma he experienced while missing and Hugh needs a mature, responsible woman who can help his son speak again. Annie convinces him to agree to a trail period and moves her grandfather and herself into his home. Both will need to learn patience and trust as they work together for his precious son. This was a unique start to the whole marriage of convenience type story. I loved the grandfather and the little boy and how they added depth to the story. The writer did a great job of creating interesting and authentic characters. She wove the important messages of faith, trust, and reliance on God into the plot without making it come across as a sermon. The book is clearly part of a series, but can be read as a stand-alone. I enjoyed this book and look forward to more by this author. I received a copy of this book by NetGalley. All thoughts expressed are my own. Two Christmas stories, written by two different authors, share only the theme in this little book about romance, faith, family, forgiveness, and the holiday season. The first story is about miscommunication, a second chance at family, and judging by appearances. I enjoyed the unique plot, the message of forgiveness, and the way it was wrapped up in the end. The second story is also about second chances. The plot was sweet, heartwarming, and all about small town living. I enjoyed how the author portrayed the good and sometimes frustrating aspects of small town living. The romance between the couple was sweet. And the message of faith was woven throughout the story seamlessly. Overall, it was an enjoyable book that put me in the mood for Christmas. Caleb feels like he's let his son down. Now Teddy can't walk and Caleb is working for a rather unpleasant guy to try to earn the money for better doctors. Sow when they find a wounded dog, Caleb finds himself asking the "enemy" for help in healing both of them. 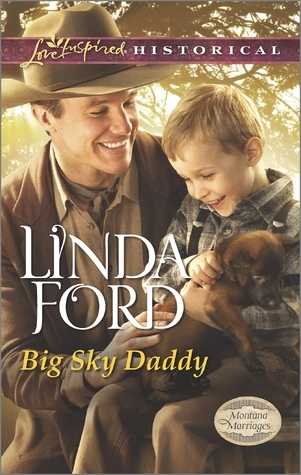 What he doesn't expect is to find the family he's wanted from the very beginning. 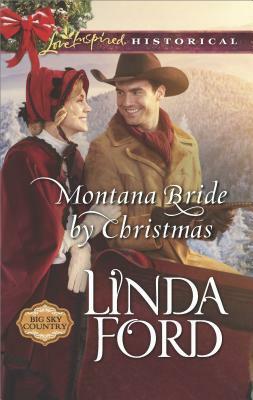 I've enjoyed a few books by Ms. Ford before and I love historical fiction. This book did not disappoint. The flawed, but loving family that was portrayed really set the tone for the book. My favorite character was the little boy, but I enjoyed all of them. The little bit of suspense that was woven throughout the story was intriguing. The author set the book up to end well, but leave a bit of intrigue for the next book in the series. I wasn't able to get my hands on the first book before reading this one. Although it was clear that there was a previous story, this book could definitely work as a stand alone. But I made sure to purchase the other books in the series, since I didn't want to miss any more of the story. 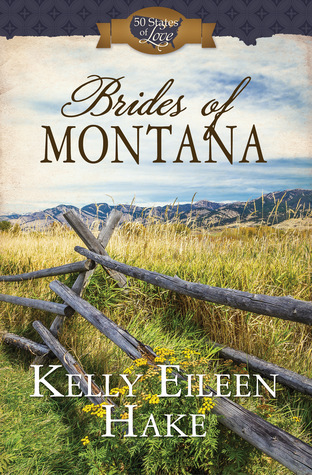 Three young women from three different generations face hardships and obstacles in their path to love in Montana. But love and faith have a way of winning in the end, and each one finds the man who will stand the test of time and make them the bride. I enjoy this author's writing style and so knew I would enjoy this set of novellas. Each story can be read alone, but all tied to a small town and a generational family that began with the first story. I enjoyed each story and felt the romance and sense of family was spot on with each couple. Each one had authentic characters that while flawed, showed their faith in God and the importance of family. I did get a bit confused into the second story because of the added numbers of people. Otherwise, I loved the book and can't wait to read more by this author.